Probate is the process of winding up a deceased person’s estate under the supervision of the probate court. As part of the process, the judge will need to find that a person has died and pass on the validity of any will that the person created. The probate judge also names a personal representative who handles the day-to-day probate activities, such as collecting estate assets, paying creditors, and ultimately distributing assets to heirs or beneficiaries. Many people dread probate, fairly or unfairly believing that it can take forever to finally reach completion. Admittedly, every estate is different, so it is impossible to state with precision when probate when end in each individual case. Read on for more information that will impact the length of probate. As part of probate, any creditor the deceased owed money to can make a claim on the estate. The claims might be for routine bills, like utility bills or a cell phone. Or the creditor might have made a personal loan to the deceased before death. In any event, the personal representative needs to advertise that the deceased has passed and give creditors a deadline for submitting claims. In Florida, creditors get three months to make a claim. Since estate assets cannot be distributed before all creditors are paid, this means that probate must last at least three months. A will contest. Someone might believe that the deceased lacked mental capacity to create the will, or the will might not satisfy the state’s requirements. Will contests can take a year or longer as each side collects evidence and witness testimony. Creditor claim disputes. The personal representative might not believe that the deceased really owed someone money. 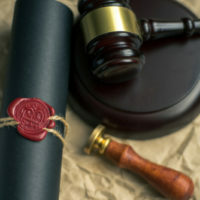 A legal dispute might result, which can delay the probate process. Disputes with debtors. If the deceased made a loan to someone, the personal representative might struggle to get the debtor to pay. These disputes can take a while to work their way through the court system. Although simple estates can take between six and eight months to complete, more complicated estates could take years depending on the complexity of the dispute. The personal representative also needs to file tax returns for the deceased as well as for the estate. Getting this tax information in order and coming up with the funds to pay necessary taxes can also take time. Helpfully, personal representatives can hire an accountant to help them with filing tax returns, which should ease the process somewhat. Some estates are easy to probate, but others throw plenty of roadblocks in the way of personal representatives. If you have a question about the process, feel free to reach out to a probate law attorney at Millhorn Elder Law Planning Group in Florida. Our lawyers have probated countless estates and are prepared to answer any questions you have. Please call us today to schedule your free consultation, 800-743-9732.